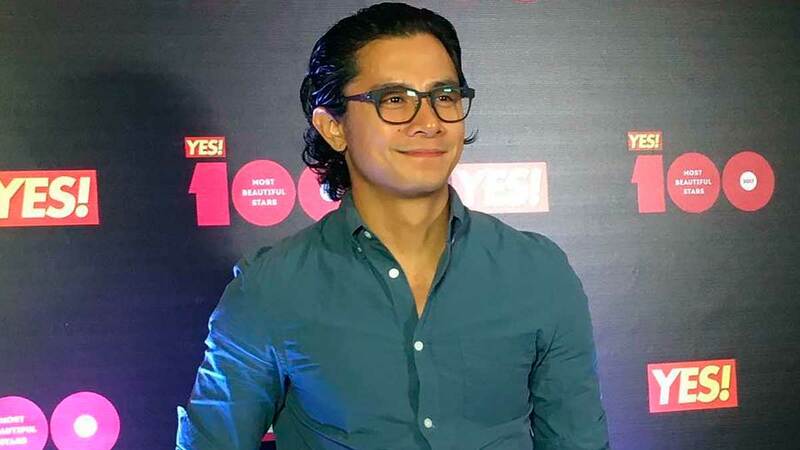 JC Santos denies allegations of his supposed relationship with his stylist following the news of his breakup with theater actress ex-girlfriend, Teetin Villanueva. This week, a comment on Teetin’s Instagram post saying "he can’t be trusted" exploded into speculations of a third party causing the breakup. The post in question was an image with the text "Time discovers truth." 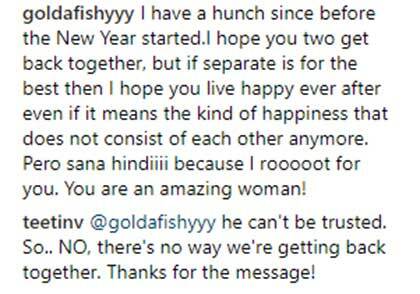 Teetin fanned the flames by dropped another comment: "She’s just one of the many," pertaining to JC and his stylist allegedly spending time at the beach together. In an exclusive interview with PEP.ph, JC apologized to co-workers who may have been dragged into the controversy, including Ryza Cenon (Mr. and Mrs. Cruz) and Bela Padilla (100 Tula Para Kay Stella). JC believes that his statement that their relationship is on the rocks led his now ex-girlfriend to react on social media. He said, "I’m sorry sa lahat ng mga na-involve, pasensiya na. It happens." When asked about the comment that he cannot be trusted, he replied, "Wala akong masasabi about that. Kung 'yun po ang opinion niya, e, di 'yun lang po talaga." On the alleged blossoming romance with his stylist, Abby Paulino, JC responds, "Nasangkot po 'yung stylist ko, pero medyo malabo 'yun. Ang masasabi ko lang po, malas po ang makipagrelasyon sa katrabaho. Personal stylist ko po siya." JC also notes that the breakup was a mutual decision. "Nag-usap na kami na mag-lay low muna sa ganitong isyu, huwag nang pag-usapan. Nag-try kaming mag-usap, pero pareho nang nagkasakitan, both sides. I think, one of the reasons… na pinakamatatag na reason kung bakit kami naghiwalay is my career. And ayoko naman na maging unfair sa kanya, lalo na ngayon sa industriya natin, ang hirap po na maging artista, demanding po sa time."